Measuring the world’s hottest places accurately is difficult because most of these places aren’t occupied. 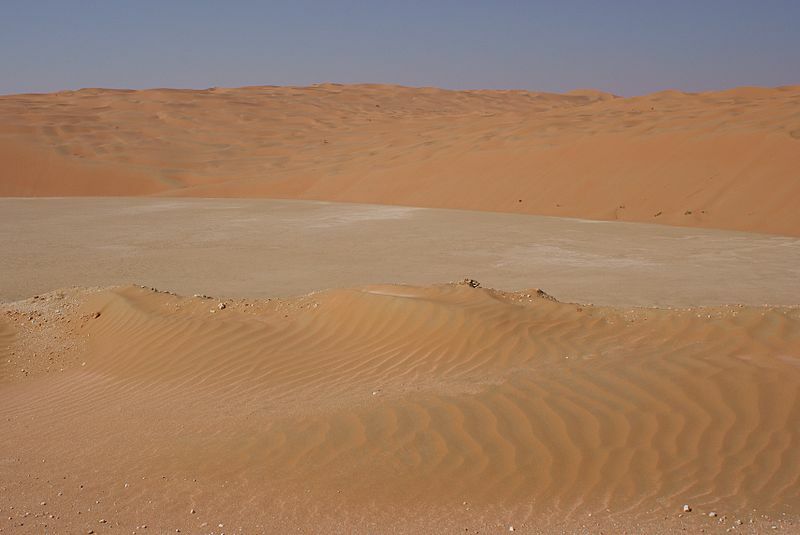 These hot spots are usually in the middle of dry and desolate deserts. How hot a location actually feels depends on the humidity. The more moisture in the air, the more miserable you’ll be. Below are just a few of the hottest places on Earth. NASA doesn’t keep a weather-monitoring station at Dasht e Lut, in Iran, but it did measure temperatures from a satellite over a 7-year period. The highest temperature recorded here was 159 degrees Fahrenheit. 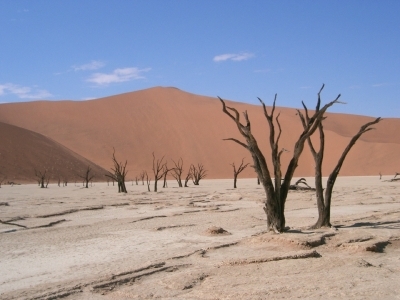 Australia is the driest country on Earth and the Outback in particular, is known for its dry, hot weather. During a drought in 2003, researchers measured a temperature of 156.7 in the Badlands of the Queensland Outback. 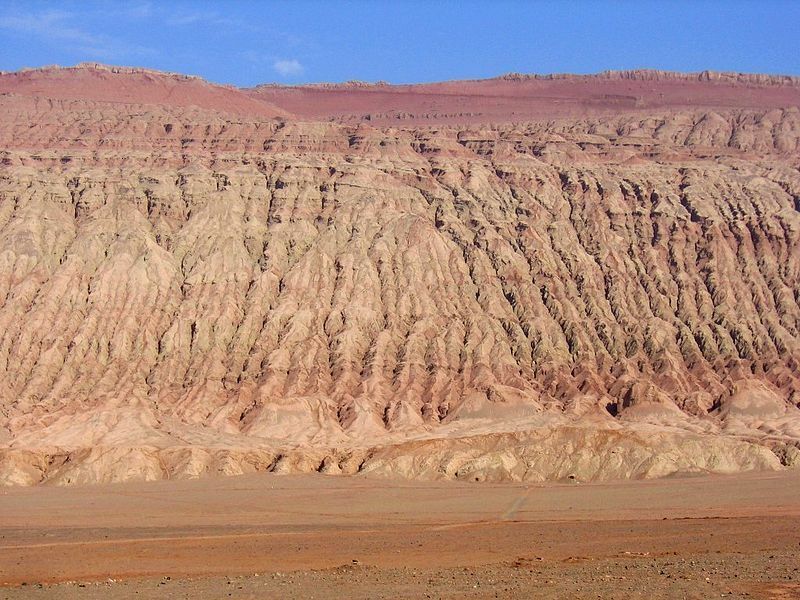 The Flaming Mountains in China is another desolate, empty place with no weather stations, but in 2008, researchers took a temperature of 152.2 by satellite. Death Valley in the Mojave Desert of California, is dry, parched and seemingly lifeless. At night, though, many animals, including snakes, reptiles, mice, bobcats and even bighorn sheep live here. Death Valley holds the record for the highest temperature ever directly recorded – not by satellite – of 134 degrees. El Azizia in Libya held the title of highest directly recorded temperature for more than 90 years until Death Valley was given the honor. However, this hot spot regularly reaches temperatures approaching 130 degrees or more. Rub’ al Khali in the Arabian Peninsula is the world’s largest sand desert. Sand dunes tower here and the sun is scorching hot. The area gets less than 2 inches of rain here every year. The hottest temperature ever recorded was 133 degrees. People gather to Kebili, Tunisia in North Africa to cool off under palm trees or to sit by the water. Even so, this ancient town sees temperatures of 131 degrees or more. Timbuktu in Mali is an ancient city that was once a prosperous trade destination in the Sahara Desert. It’s also home to numerous ancient books and writings. This city reaches temperatures of 130 degrees in the summer. 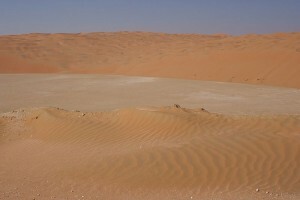 Large sand dunes constantly threaten to cover the city. Tirat Zvi, Israel sits below sea level near the Jordan River. The river allows farmers to grow crops here, but the harsh sun pounds down on the town in the summer. Temperatures of 125 degrees or more have been recorded here. Dallol in Ethiopia is an abandoned mining town that sits near active volcanoes. It has some of the hottest weather year-round with temperatures averaging around 95 degrees every day. Can you imagine being asked to pass the salt at dinner and having to travel by camel to one of the hottest places on earth to do it? Some people do just that, pretty much. Dallol, in addition to one of the hot spots on our list, is an extremely remote former mining town only regularly accessible by camel caravan. Tirat Zvi is a place where you may think it is too hot to think. Not the case in this little town. With a little help the people here came up with a method of preserving palm fronds for several months. This allows them to harvest in the spring and keep them until the fall for use during holiday celebrations. The farthest reaches of the world do not end in Timbuktu. Timbuktu is actually in the heart of the African continent. Kebili in Tunisia is one of the oldest Oasis in North Africa. Proof of this was found near the town itself in the form of hard evidence proving the presence of human habitation dating back approximately 200,000 years. Death Valley received its name from prospectors during the American gold rush in 1849. It is actually a misnomer as there was only one death recorded in the area during that time. 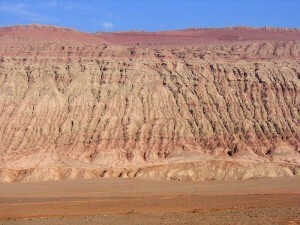 Though the Flaming Mountains in China make our top 10 list for hot, that is not how they got their name. The mountains themselves are made out of red sandstone bedrock and over the years the sides have eroded into series of trenches and gullies. Those are what give the mountain the look of being aflame at certain times of the day. A video presentation of facts about some of the hottest places on Earth. Question: What are the hottest places in the United States? Answer: The top 10 hottest cities in the U.S. include Phoenix, Las Vegas, Dallas, Houston, Austin, San Antonio, Miami, New Orleans, Tampa and Orlando. Remember, though, that humidity makes a place feel hotter. Humid Tampa may feel more uncomfortable than dry Phoenix in the summer. Enjoyed the Earth Science for Kids all about the Top 10 Hottest Places on Earth info? Take the FREE & fun all about the Top 10 Hottest Places on Earth quiz and download FREE all about the Top 10 Hottest Places on Earth worksheet for kids. For lengthy info click here.